I'm planning to be back with reviews from tomorrow, but it'll be slowly but surely. I've a fair bit to catch up on, but it's also a quiet time of year release wise. Please keep sending your music in, I have a lot of time on my hands to listen, just a bit less attention span for writing at present. I don't like to talk much about me, particularly here, it's about music. The Heart Attack was a complete surprise. I'd been complaining of viruses for a few weeks, I'd missed a few shows because of it, but I had no idea what the illness was the precursor for.I now know it's not like the Movies, where you fall over clutching your heart. I just thought I'd become a hypochondriac. Family, Friends, Musicians and Fans have been fantastic. I've been gobsmacked by the emails, cards and even a specially written Get Well Song by a Power Pop Legend. People have been in touch with Tez daily and she's been amazed at how kind people are. I'll be rescheduling all interviews this week, most will probably be by email for now. If anyone wants me, you have my email and Facebook / Twitter or I am happy to chat on the phone. Tez is back at work now, so I have plenty of time, if not the attention span. I'm feeling much better, but little things get me tired. I'm told this is normal. Thank you everyone for your kind thoughts, completely unexpected and very very welcome. John Howard emerged in 1974 and as a 21 year old released the magnificent Kid In A Big World album, a pretty apt title from a lad from Bury moving to London. That album stands up with anything released at the time. A sort of Glam Piano led Pop, a field frequented by the likes of Elton John, Lynsey De Paul and Gilbert O'Sullivan. Howard was as good, if not better than any of those names and Kid In A Big World remains a timeless album. The CBS promotion machine got behind the album, but with the likes of BBC Radio 1 refusing to playlist the singles, album sales were not as expected. The album was part of a trilogy with Technicolour Biography and Can You Hear Me OK?. CBS refused to release both, a classic example of a Record Company wanting instant paydirt, rather than growing an artist. Both albums remained unreleased for three decades, until RPM and the foresight to release them. Radio Air Play was a real problem, it was often suspected that gay artists had this problem in the 70's when pop stars had to play up to a masculine image. Howard continued to release singles, produced by the likes of a young Trevor Horn and Steve Levine. all to little effect and the recording stopped as John moved into a successful A and R career. In 1996, he recorded The Pros And Cons Of Passion album, the label went bust a week before it's planned release and that would appear to have been that recording wise. In the early Noughties, Howard retired from his A and R career and so he thought, music making. In 2004, RPM re-released Kid In A Big World to rave reviews. The following year, RPM released the two other albums in the trilogy, again they gained great critical praise. This led to a new album, the splendid As I Was Saying. It was as though he'd never been away and favourable comparisons to the likes of Rufus Wainwright led to Howard regaining his muse. As I Was Saying and Kid In A Big World are albums that everyone should own. The renewed confidence led to continued releases, most of which are available digitally from his website here. Last year, John's multi format release, John Howard And The Night Mail was a wonderful band album and the success of that album has led to a deal with Occulation Recordings for his new solo album, Across The Door Sill. 40 minutes for 5 songs may make people think of Prog or stretched out ideas, well there's not a hint of that. This is proper songwriting with great care. Each song is a story in itself, the mood of each song dictated by the care put into it. Multi layered vocal and piano, at times classical like, others seemingly lounge. It's essentially a folk album played on piano rather than acoustic guitar. These multi layers are demonstrated best on the opener Who Cares. Not the most instantly accessible song on the album, it perfectly encapsulates what the album is trying to achieve. Repeated listens open up the layers. The album has had comparisons with Roy Harper and Judee Sill and I agree with that, however there's equal comparisons that can be made to aforementioned Rufus Wainwright and mid 70's Al Stewart. You sense that this is the album that Howard always wanted to make, but never dared. He's a fantastic storyteller with a quaint Englishness of days gone by. The piano talks, it's amazing that one man with a piano can fill the sound so fully. This is particularly so on my favourite track, Stretching Out which is so melodic. Occulation Recordings always wanted this to be a release across all formats. So to the vinyl limitations meant that a sixth song,Viewpoints, had to be left off the album. This additional track is available to all buyers from the label's website here. Buyers of CD or Vinyl also receive the album download free and Across The Door Sill can also be bought as a digital download. People don't make albums like this any more. If they did, the world would be a better place. 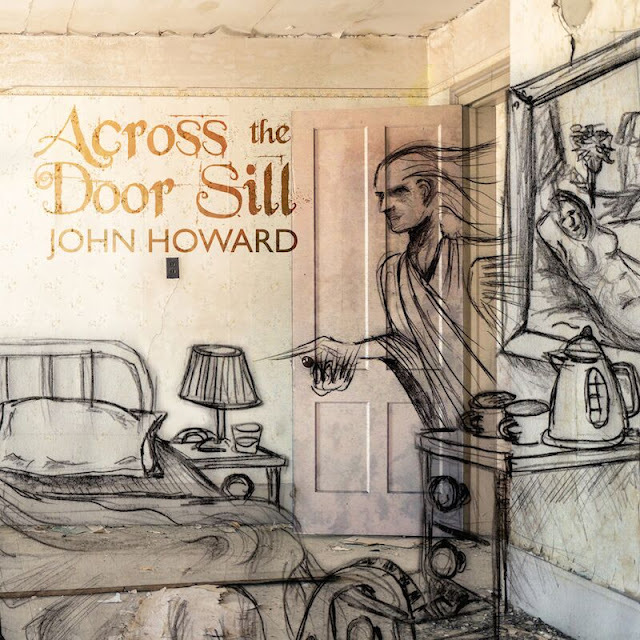 John Howard is an exceptional talent, a talent that should have earned his rewards 40 years ago. He can now. 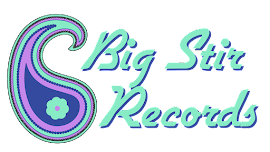 The Cherry Bluestorms are on the recent Big Stir Compilation that I was raving about on Facebook and will be reviewing in coming days. Hailing from Los Angeles, the three piece consist of ex Dickies Guitarist, Glen Laughlin, Deborah Gee and Mark Francis White. 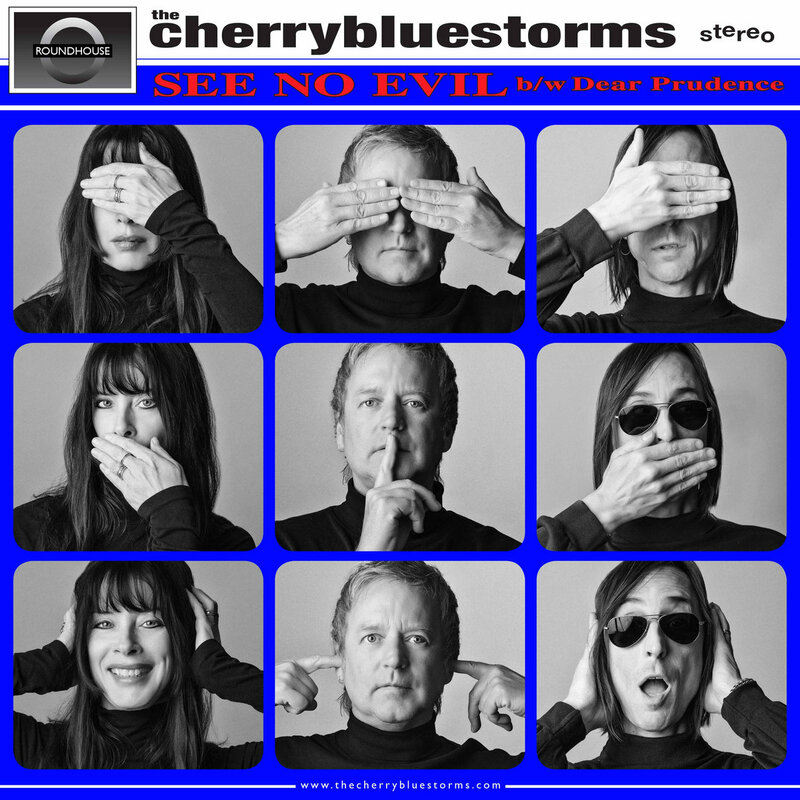 See No Evil is great 60's Power Pop with Gee on Vocals, her voice sounds like a cross between Grace Slick and Chrissie Hynde. Dear Prudence needs no introduction, but shows the variance between the male and female lead vocals in the band. Laughlin takes lead on that and it's a great cover showing the band's ease with Psych Pop and melody. 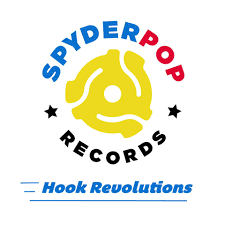 The band already have two excellent albums in their canon and you can buy both the single as a download or 7 Inch Single and their back catalogue here. 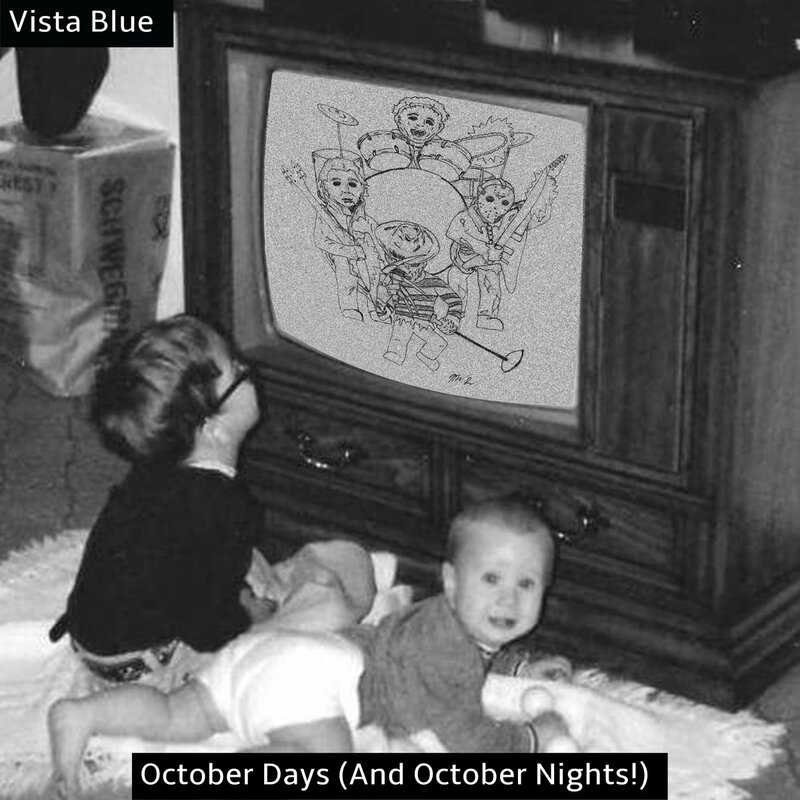 Vista Blue are a Power Pop band that are getting more and more attention on the Nashville scene. Featuring ex members of Second Saturday, The Loblaws And The Robinsons, their latest EP is available and it's great stuff. You can investigate more and support the band here. I am a massive Ooberman and although they remain sadly missed, the two splinter bands are equally magnificent. 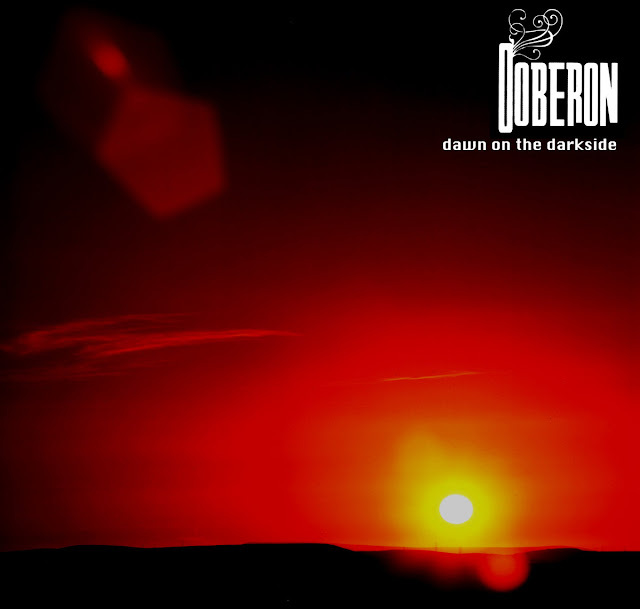 Where as The Magic Theatre concentrates on Sophia Churney's voice, Andy and Dave Flett's Ooberon mine a much wider panoramic soundscape. Dawn On The Darkside is an epic Space Pop monster of a single. Away from the sheer catchiness of the song, the arrangement is so varied, there's keyboard and riffs from all directions. This makes the instrumental version on the four track EP, just as great a listen. One of the best things you'll hear this year and you can buy the EP for the bargain price of £2,50 here. The final selection for this week's review of Singles isn't new but certainly needs more investigation. 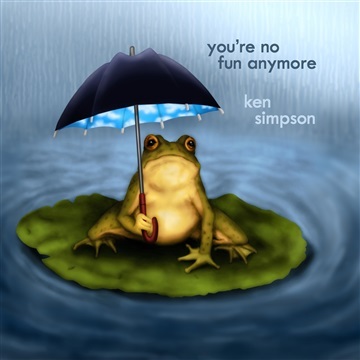 Ken Simpson;s six song EP is a beautifully made six song 60's Pop joy. I've reintroduced it as it is available for Soundcloud on a Pay What You Want. There's plenty of variation in the arrangements as you would expect from something produced by David Mead, a hero in these parts. Ken's voice is reminiscent of Al Stewart at times and uncannily like George Harrison on the opener. You've absolutely nothing to lose by giving this a go here. Apologies for any errors in the text size format. For some reason formating Blogger posts this morning is a nightmare. Blogger can be so quirky. The thing I like most about Thomas Walsh is that first and foremost, he is a music fan. In fact, initially all my conversations with him were about music. We are both massive fans of XTC and The Move and we blathered on about both personally and through Anything Should Happen. Then one day he said to me, by the way I have a band, have you heard of us. I had, but I hadn't listened to Pugwash much, but when I did and told him how much I liked what he was doing, he was so appreciative and that sums up the man. Great musical taste, one of the wittiest people I know and a fine singer songwriter. I get invited to a lot of things, but I always make a point of going to see Pugwash when they around. They are one of the best live bands around. Technically ace, great songs, surprising covers, a hilarious sense of humour and loads of time for their fans. They are a fine four piece, self effacing and in such demand that Shaun is currently on tour with Pete Wylie and Tosh is playing guitar for The Divine Comedy. It's great Pop, real singalong music. Walsh's vocals sound very much like his hero, Jeff Lynne, no bad thing. Almanac is Pugwash's second album from 2002 and has been long deleted. Not now though as it's been picked up by Sugarbush thankfully and it adds to that label's burgeoning reputation. I could pick any of the 14 songs to preview, so I've picked my three favourites. Apples is a personal favourite of Andy Partridge, who was to sign them to his Ape label. Jason Falkner plays the organ on Keep Moving On, my second selection and he also guests on three more of the songs including a great guitar solo on Weaker Man. Another of our faves, Duncan Maitland adds keyboards across the piece. The band are garnering a growing reputation in the States at the moment, let's hope we don't lose them completely to our American Friends. Well done Sugarbush for bringing this gem back into public view, You can buy it on orange or white vinyl here. I'm gladdened by The Liverpool Scene at present and a good deal of my time at the moment is covering bands from the area, so I'm delighted to bring another to here. The Mono LPs debut album is out and it's great. The band are a four piece, but one of those four is Cellist, Vicky Mutch, Don't be afraid, because she is a rocking cellist and adds a major difference to other bands around. Her style of playing is not unlike a Roy Wood on ELO 1 (No Answer) and Boulders. The Guitar, Bass and Drums are fleshed out by this addition. Ste Reid, songwriter, vocalist and guitarist writes real sing along stuff. His voice reminds me a lot of Dave McCabe, you could certainly compare them at times to The Zutons, although the songs have far more structure. There also could be comparisons to Cherry Ghost. However, the band rock far more and are developing a great live reputation. 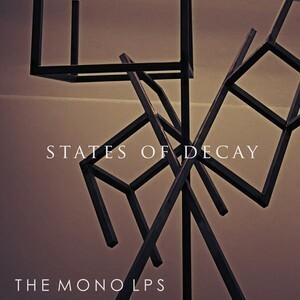 State Of Decay is a real up and at 'em album. I cannot over emphasise the difference that a Rock And Roll Cello makes, it provides a real signature sound. Energetic riff driven rock and roll with depth. The album is a riot. Well done all! You can still buy the album from the band's pledge site here and get additional access to extra stuff. Alternatively, the album is available on Amazon from Thursday here. Following on from the XTC theme in a way, I'm often amazed at how many of us fans would rather mope about awaiting a return that's never going to happen, whilst ignoring the great stuff that has appeared in those intervening years. I could name many bands who plough a similar field and deserve recognition, but one of the most deserving are The Dowling Poole and they have a new EP out. The history of both members should be a stamp of quality to direct you. Willie Dowling was the driving force behind two magnificent bands, Honeycrack and Jackdaw4. Jon Poole was in Cardiacs from 1991, a wonderful period for the band. Both were also members of The Wildhearts. 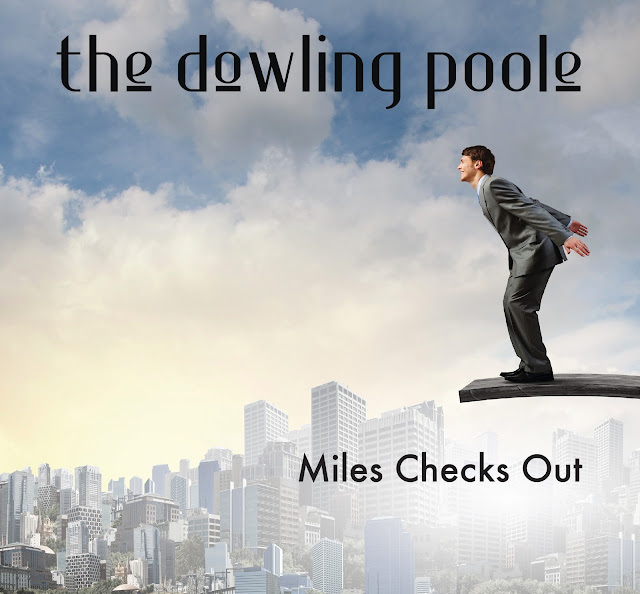 The Dowling Poole are purveyors of Classic Indie Pop as demonstrated above and you can buy the EP which contains two additional splendid acoustic live tracks for the bargain price of 99 pence here. So while you are doing that let me tell you a bit more about them. The band are of the same English Pop village of the likes of XTC, Martin Newell and Pugwash (Yes I know they are Irish). 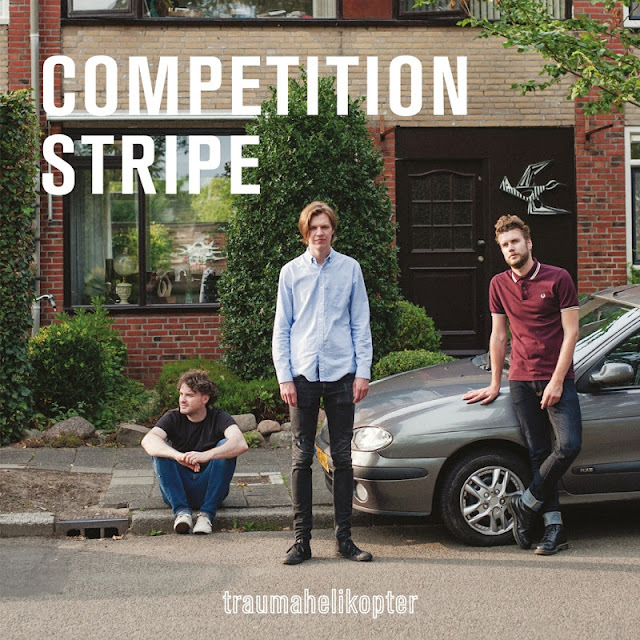 Their debut from 2014, Bleak Strategies covered all of those Pop bases. From The Kinks like, Saving It All For Saturday to The Sun Is Mine, which could easily have come from Strawberry Studios in 1975. Bleak Strategies reminds you of a lot without directly sounding like anything, it's just great pop. This year's follow up, One Hyde Park, is exceptional. The pop is still there, hints of Squeeze and Blur, but there are times it ventures into storming psych pop, particularly on The Garden and Whatever. I'd recommend both albums, but One Hyde Park has the greater variance, it's like the pair have opened up their musical toy box. When She Knows She Knows is classic Small Faces territory with a Roy Wood Move chorus. It's not just about harmonies and catchy pop, lyric lovers will love the depth. I can't recommend both of their albums highly enough, you can buy them both for under £15 at their Bandcamp site here, as well as two more EPs for 99p a pop. You can also listen to all the songs which I'm sure will convince you more. You can also buy the albums on vinyl, a format that really suits the band's songs, from the excellent Sugarbush Records here. Bleak Strategies is an incredible £11.99 post paid, yet another bargain. I think you all know that I only review what I like and my only regret here is that I should have told you about The Dowling Poole much earlier. I find it hard to be objective about XTC. I'm one of those that cannot understand why the world doesn't worship at the band's feet. I do realise that a review of Skylarking will largely be preaching to the converted, but I will go through the motions of putting some songs up from youtube (not from this remaster) in the hope that more are converted. Firstly, despite the majority disagreeing, Skylarking isn't my favourite XTC album. It's not that it isn't superb, it is, but to these ears it's behind Oranges And Lemons and Black Sea. Secondly, you get tired of all the wrong polarity / right polarity, definitive version rubbish. I can tell you that these aging ears ears have led me to decide that this Steven Wilson Mix is his best ever, listen to Season Cycle to note the difference. Thirdly, there is so much history to the recording. I don't want to drag up the Andy Partridge and Todd Rundgren shenanigans, Partridge isn't the only one to criticise TR's dictats in production, I read an interview with Ron Mael saying the same recently. There was petty jealousies too, complaints about how Colin Moulding's songs were favoured. My view is that the production wasn't great on the original, but the arrangements were fantastic and Todd Rundgren is fantastic at arranging. As a final point, I asked a while ago why these reissues weren't on multi CDs instead of Blu Ray. I could understand why people wanted 5.1 and the space it needed, but these ears didn't notice the difference. I personally rip all the audio to WAV and then CD and then the Blu Ray sits on the shelf. It was explained to me that it's something to do with the rights from Virgin. Ape could only get the rights for the original CD in that format, Blu Ray got round that, so you could put loads of extras on it. So to the music...........Well the album sounds fantastic, greater clarity and you realise again how brilliant it is. People bemoaned XTC's non touring, but would they have developed as much writing stuff that could be played live? I love all three stages of XTC, the shouty start, Dave Gregory joining and then post touring. From 1985 onward they were untouchable. There's also a valid argument that Todd Rundgren's involvement developed them further. Skylarking brought a mellower Andy Partridge voice and it just added to the songs. The arrangements are fantastic and the seguing works beautifully. The album is a joy from start to finish. The unconverted should listen to the songs in this post and then when you hear this version you'll be smitten. As for the extras.............There's four bonus tracks on the Steven Wilson Mix, there's 5.1 Surround mixes in LPCM and DTS and the Wilson Mix in LPCM. That's the technical stuff out the way, phew. There's also the corrected and uncorrected polarity versions of the album. Audio extras are the instrumental version of the album, the complete album in demo form in the order that Todd Rundgren originally suggested, 24 Demos And Work Tapes showing the masterpiece in progress, including an early version of Across This Antheap and the videos for Dear God and Grass. A glorious album that everyone should own, but most probably will not. The days when albums were events. It is unlikely that XTC will ever reform, but their legacy lives on. There seems to have been a lack of Sunshine Pop of late and boy does the world need it at this present time. 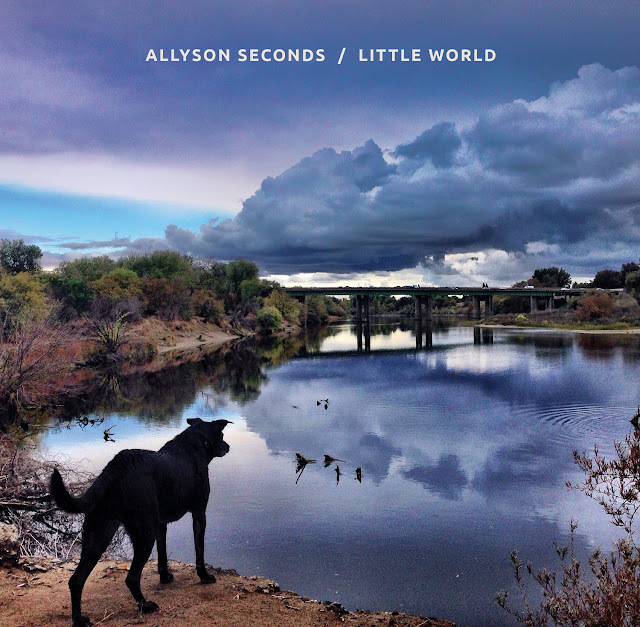 Allyson Seconds is here to remind you all how much it has been missed, but don't be fooled into thinking this is another Susanna Hoffs album, because it is a million miles away from that. There's a number of reasons for that, most notably, the involvement of Anton Barbeau, who writes the songs, produces and plays. Barbeau is someone all should investigate, one of the best Psych Pop Merchants around and that ensures that the arrangements are far from usual. There is great variation throughout the album. A lot of that is to do with the Power Pop Royalty that guest on the album. There's plenty of what you would expect on the likes of Burning Burning, Octagon and the title track. The brilliance though is on that is away from the norm. I almost wept hearing the mighty really missed Scott Miller's solo on Octagon. We don't hear enough of that harmonic Colin Moulding voice since XTC bit the dust, well he's here with Backing Vocals on Little World. Sun Don't Shine has an amazing psych fuzz solo from Bevis Frond's Nick Saloman and the fairy dust doesn't end there. Soft Boy and head Wave, Kimberley Rew is here, as is Corner Laugher's Karla Kane. Shining through the unusual arrangements is Seconds voice, sweet and haunting. Barbeau's involvement should drag Psych Pop fans along, the guests will corner the Power Pop Market and Allyson's delivery grabs the pop pickers. It's an album I'd love to do well because it deserves it. My one irritation (and this could be my own personal bugbear, because I mention it a lot) is that the album misses a proper real drummer. However that doesn't distract from what is a great and welcome record. The album is available at all the usual places including the likes of Amazon. It's well worth your hard earned cash. We all know that Dom Mariani is a Power Pop God, however his collaboration with You Am I's Greg Hitchcock is a much heavier affair. With Stu Loasby and Warren Hall, the quartet follow up last year's Demon Blues with Hairy Mountain. This is more Psychedelic and a bit less Blues but there's guitar and plenty of it, riffs and solos. It reminds me a lot of Blue Cheer, very much in the late 60's early 70's department of Rock. Fuzz, Boogie, definitely groovy and when they hit that groove they stay with it. It's a more than welcome diversion from the synth pop that keeps coming through at the moment. Everyone wants to be Everything But The Girl if they don't want to be Nada Surf. 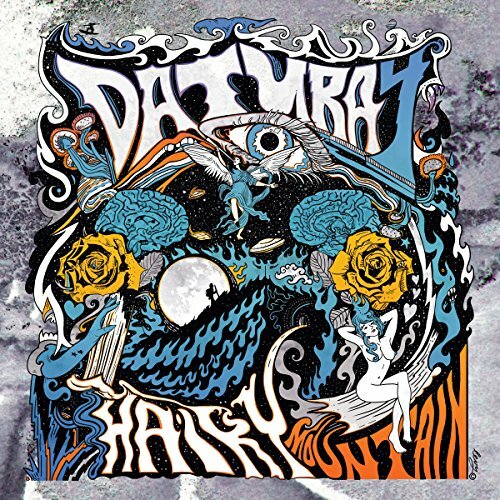 It's a refreshing change to hear Psychedelic Rock done well, so few are. The guitars are reaching for 11 and so they should. Heavy Mountain is a real up and at 'em album and all the better for it. You can buy it here and should. 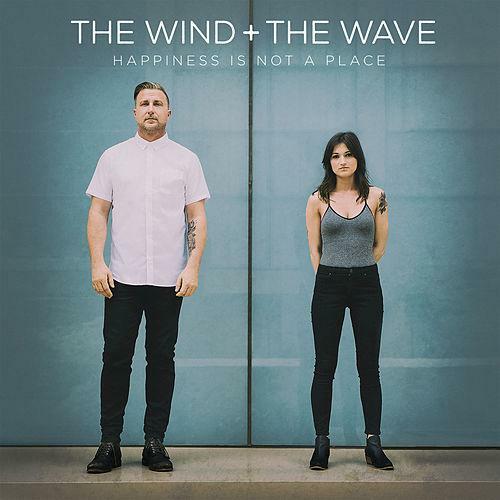 The Wind And The Wave are Austin Texas's Dwight A. Baker and Patricia Lynn and they've just released this, their second album. It is a thing of beauty, Lynn has a voice that demands that you listen to it and the arrangements are wonderfully different and complement that voice. The duo had songs in Nashville Season 4, but this is no album of the country variety. Butch Walker, produces and although we love him from his Marvelous 3 days, his productions can be a bit clappy and hey hey. Thankfully he's restrained here and concentrates on the great arrangements and THAT voice. Songs like Let's Forget That I Was Even Here are rooted in 60's Dusty Springfield pop, Before The World Explodes has hints of Amy Winehouse. Butch Walker can't resist the hand claps on Skin And Bones, a rare irritant on an excellent album. The Orchestration on the opener My Mind Is An Endless Sea and the closer, Everybody Knows is beautifully done and the country acoustic strums are in the right place throughout the album. At last as a major has got hold of an act that isn't derivative and deserves support. The album is far more polished than the debut, but it a thing of beauty. Great Pop! You can buy it everywhere, but you can find out more about the duo and there are links to buy here. traumahelikopter are a Dutch band (the name translates to air ambulance) and the trio are doing a great job of bringing a lighter Garage Rock to the masses. This is the band's third album, their second for Excelsior, the label of our beloved Daryl-Ann. I'd describe them as a cross between The Strokes and one of the better late 70's New Wave Indie bands, more like the latter. They get a bit psych poppy on the likes of Pull Me Down and the title track is well on the way to Power Pop. Largely though it's that 70's New Wave have a good time chord strumming, you can imagine them to be great live in some hot and sweaty club. The album certainly impresses, a new discovery that I'm happy to have made. Refreshing to know that the youth know their musical roots. You can buy the album here, Excelsior are spot on at customer service. You can also buy it as a download at Amazon for £7.99. 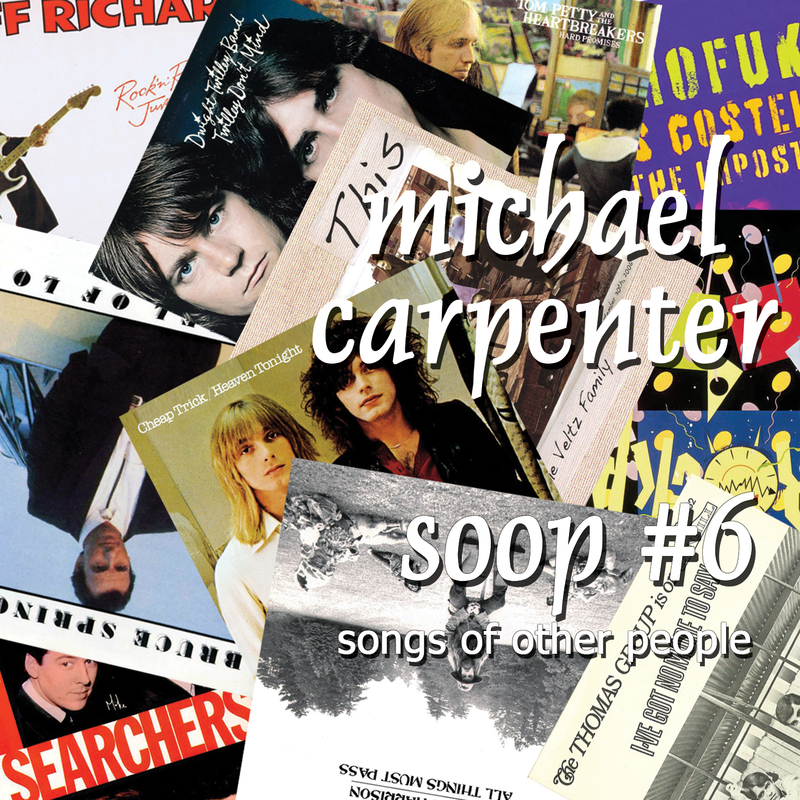 When Michael Carpenter released the excellent first SOOP in 2001, I never thought it would run to six volumes, I suspect nor did he. They aren't a regular thing, five more in the intervening 15 years and sandwiched in between his Power Pop, Americana and Country tinged albums. These albums tend to be quicker affairs and provide even greater focus on his original material and to be honest, the quality has never dropped, Volume 6 being no exception. They tend to be Power Pop led with a mix of the obvious, the surprises and the lost gems. Volume 6 is just that again. Some of the songs are from previous tribute albums, others more recent. The lost gems include The Veltz Family's wonderful Falling and Rockpile's When I Write The Book. The obvious are Cheap Trick's Surrender and The Searchers' Needle And Pins. Nothing much is added to Surrender, not much can be, but Needles And Pins is a much slower version that really works and has a country tinge. The known are Bruce Springsteen's Tougher Than The Rest and Tom Petty's The Waiting, the former is a very different Part Americana part Country version. It's great. It's surprising to hear a cover of Cliff Richards' We Don't Talk Any More, never my favourite song, but at least it's not Wired For Sound. Tougher Than The Rest is a gem but my favourites are songs I haven't heard for a while and / or songs that other people will discover. With that in mind, there's a cracking cover of Dwight Twilley's Here She Come and an even better happy clappy version of Elvis Costello's No Hiding Place. George Harrison's What Is Life opens proceedings with a faithful to the original version, but it's still a great song. The remaining two songs again fall into the nice surprise category. A Cover of The Gerbils' Welcomed Here and PF Sloan and Steve Barri's I've Got No More To Say. I actually have the 1967 7 Inch of the latter by The Thomas Group. Carpenter is ably assisted with Backing Vocals, in particular by Kylie Whitney. I know cover albums can get a bit ten a penny, but this series never has, All six albums stand up in their own right and this latest one, probably the most of all. It's a fine listen. Carpenter has never released a bad album, he's not gonna start now. You can listen to and buy it here. One of my greatest irritants is the label Pop Punk. I've mentioned this before. It's a genre that has good and bad like any other, but none of it is Punk and that label puts everyone but followers off. The better bands from this corner tend to be more in the Power Pop club and The Feels certainly are. 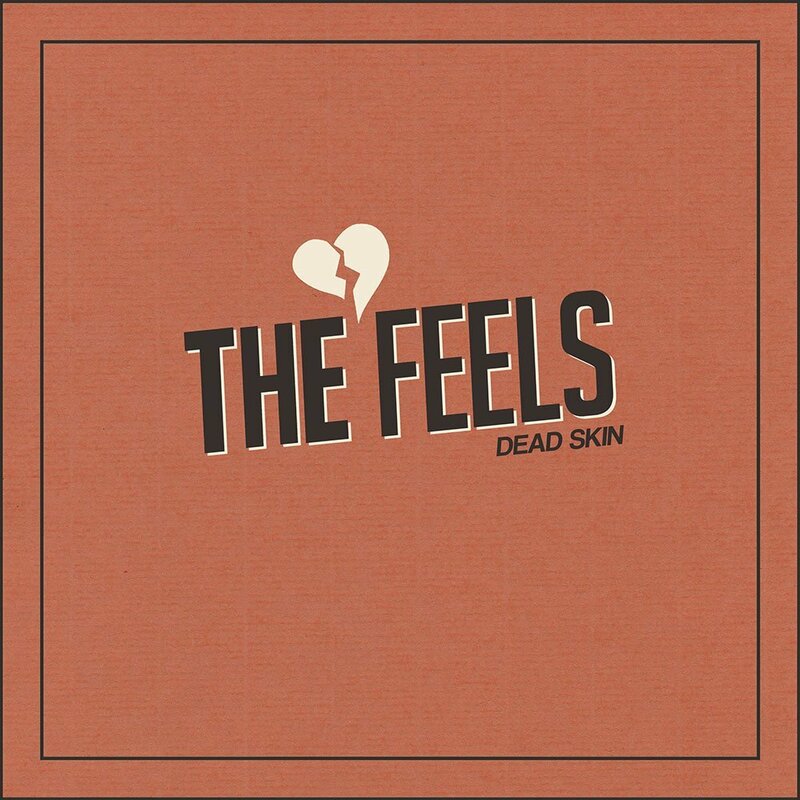 Dead Skin is as good a Power Pop album as anything we claim as one of our own. New York's Christian Migliorese has produced a right ole riff of an album and the fantastic news is that as a I Don't Hear A Single Blog exclusive, he has made the album a Name Your Price on Bandcamp for the next week or two. So you have nothing to lose. You can download it in FLAC, 320 etc and 8 Track cassette. I lied about the 8 Track. Migliorese was in Tattle Tales for over a decade up to 2010. A stint in Candy Hearts followed before he went out on his own and the result is ace. Dumb Or 21 is a great "let them have it" opener and is followed up by the gentler Purple Heart which revs up with a great riff. Maybe is a real thrash and all the better for it, it just doesn't let up, another real up and at 'em, it should be favourite track, but there's one better. 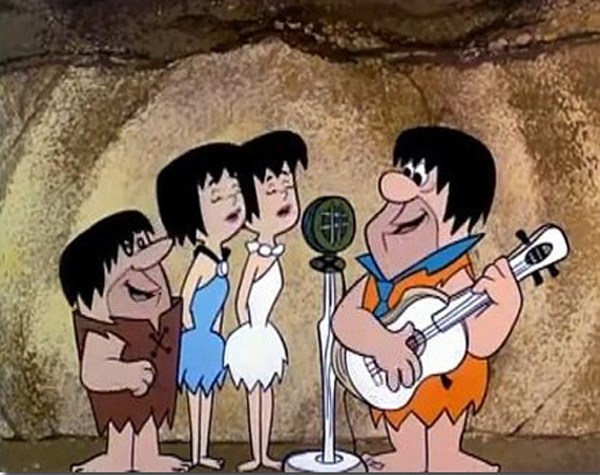 The next trio of songs are more mellow. When Things Were Good and She's Gone Away are acoustic jangles. I-95 has another killer riff and it's these riffs that mark the album in a different league to the standard fayre of the genre and the chorus is killer. The best is saved until last though. You're Gonna Haunt Me is a real anthemic Power Pop Gem, one of the best things I've heard this year. Dead Skin is a real gem of an album. After the 28 minutes is up, you'll play it again. This is exactly why I love Power Pop. Thanks to Christian's generosity, you can download the album risk free now from here. Then you can tell all your friends about it. My original plan today was to review The Ragamuffin's latest album, Over On The Shipping Forecast, which is ace. But I've been so hooked by the band that I plan to take the advice of my good friend Nick Fletcher (ASH Swedish Department). I'm gonna hook up with David Jaggs and get the full rundown on the latest platter direct from the horse's mouth. The world needs more left leaning Liverpool FC supporters and we are both a member of that club. Whilst I do that let me tell you a bit about them and set you on the road with last year's killer single, Generosity Killed The Fat Cats. What a fine thing that is! Addictive Kitchen Sink Pop of the highest order. 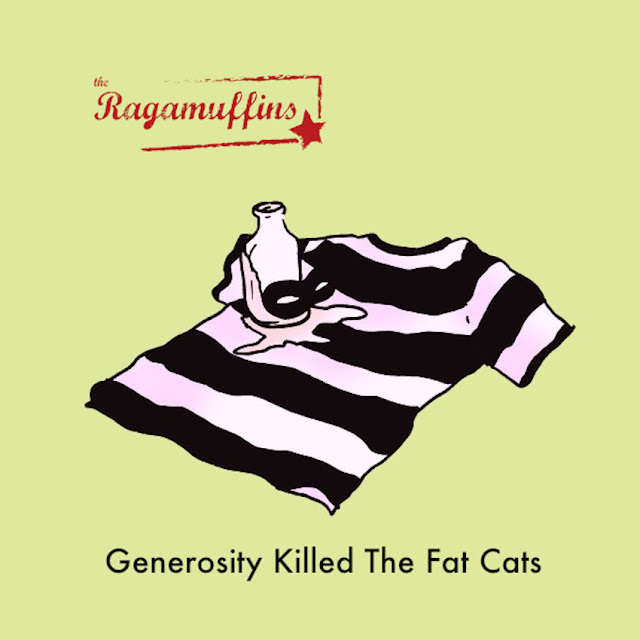 If a band could break both our age group and also drag along da kidz, it's The Ragamuffins. 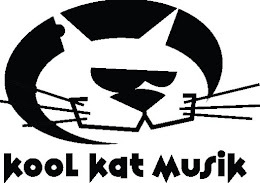 Formed in 2007, the band went through a number of versions, largely synth and keyboard led. before emerging with the hook-laden choruses and smart lyrics that ultimately on their debut album The Irony Curtain, released in 2012. Three more EPs followed where the band’s sound leaned more towards a Northern Soul feel without losing any of its indie roots. All songs are written by David Jaggs who sings and plays guitar (he’s also a fabulous pianist!). He’s originally from Liverpool but now lives in the Accrington area. Full band shows are powerful affairs with twin trumpets, but David does a great job playing the songs solo on guitar/piano. One recent show saw him play non-stop for over 4 hours where he played the whole Ragamuffins canon plus a range of diverse covers by Elvis Costello (his hero), The Cure, Prince and many, many others. They are clearly a band who have fun together and the banter at their shows is good. David Bash is a big fan and always introduces the band as “one of the smartest bands I know” at each IPO. The Ragamuffins play IPO every year and he’s not wrong. I've deliberately avoided the new album in the two song previews. If these two songs have already got your juices flowing, you can head over to the band's Bandcamp site and listen to more and purchase anything from their back catalogue and Over On The Shipping Forecast. You can find all these goodies here. One of the best bands in that second wave of Power Pop from 1977 onward were Pezband. Stop! Wait A Minute remains on of the great Power Pop songs, up there with the likes of Starry Eyes. My other half is as far removed from a Power Pop fan as you could imagine and yet that song is on her Spotify playlist. Those three albums between 1977 and 1979 stand up with any of the New Wave breed and the band were fantastic live. 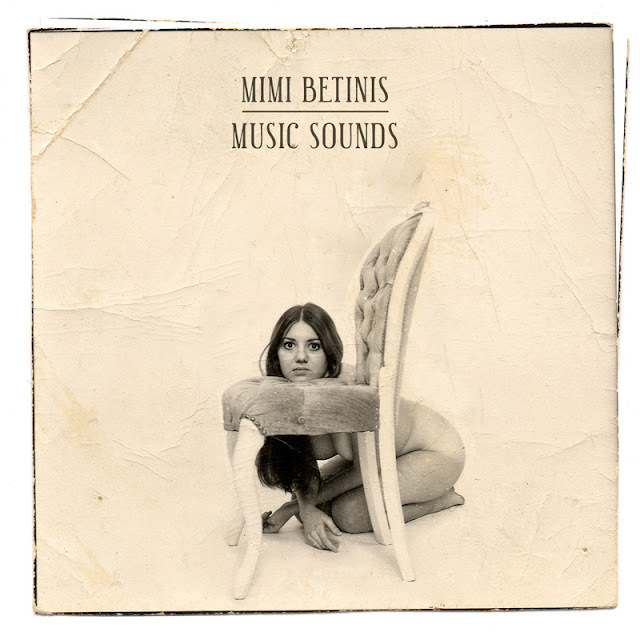 The thing that shone most amongst the killer choruses was that Betinis voice, a thing of wonder. The great news is that that voice is still in fine fettle and although it's been a long six year wait since 2010's excellent All That Glitters, it's well worth the wait because Music Sounds is a cracker of an album. Pontiac is the most Pezband like, the album though is poptastic. McCartney-esque on Sound The Alarm, which has some great harmonies and a killer riff, wonderfully moody on Listen To Me, Funky on This Girl. Palm Of Her Hand has a Merseybeat shuffle, Say The Word is a gem with it's Pilot like riff and the closer, There Is Love is almost Moroder like. She Wants You showcases his voice beautifully on a 60's singalong, Corinna could appear on any of those three Pezband albums and not be out of place. The album has all those trademark licks and choruses, but most of all it has THAT voice. Members of Pezband help out on five of the songs and the album is produced by John Pavletic, who produced Cover To Cover. You can find out more about the album here and also listen to 30 second song extracts before you buy from CD Baby. There is also a link to get the first single, Sound The Alarm, as a free download. The album is also available from the likes of Amazon.